ABSTRACT: Medicinal plants have been used as a source of medicine and in widespread use of herbal remedies and healthcare preparations. The present study was conducted to evaluate the antimicrobial potentiality of methanol solvent extracts of mature leaves of Costus igneus against five pathogenic bacterial isolates viz., Escherichia coli, Pseudomonas aeruginosa sp, Klebsiella pneumonia sp, Bacillus subtilis sp, Proteus mirablis sp . The antibacterial potential of Costus igneus methanol extract was tested by using Agar well diffusion method. 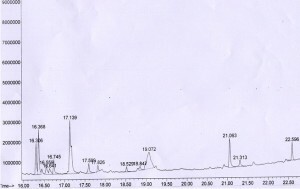 The methanol extract of Costus igneus (100mg/ml) showed maximum zone of inhibition (7mm) against Escherichia coli sp.where as Proteus mirablis sp showed less zone of inhibition (4mm). The methanol extract of Costus igneus (100mg/ml) showed maximum zone of inhibition (7mm) against Penicillium sp. But Candida albicans sp showed less zone of inhibition (4mm). Phytochemical tests were performed and showed that the antibacterial activity of Costus igneus plant leaves was due to to the presence of phytochemical compounds like alkaloids, terpenoids, tannins, glycosides, and saponins. GC-MS analysis revealed the presence of 20 compounds. INTRODUCTION: Infectious disease can become a threat to public health in this world. The use of medicinal plants for the treatment of various diseases is an old practice in most countries and it still offers a enormous potential source of new anti-infective agents. 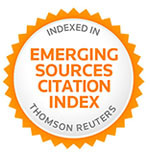 Although ancient civilization recognized the antiseptic or antibacterial potential of many plant extracts, they failed to document the preservative and curative effects of plant extracts 1. Medicinal plants are considerably useful and economically essential. They contain active constituents that are used in the treatment of many human diseases 2. The plant extracts have been developed and proposed for use as antimicrobial substances 3. Many of the plant materials used in traditional medicine are readily available in rural areas at relatively cheaper than modern medicine 4. Thus, it is important to characterize different types of medicinal plants for their antioxidant and antimicrobial potential 5, 6 and 7. Due to a rapid increase in the rate of infections, antibiotic resistance in microorganisms and due to side effects of synthetic antibiotics, medicinal plants are gaining popularity over these drugs 8. Antimicrobial activities of many plants have been reported by the researchers 9, 10. The antimicrobial activities of medicinal plants can be attributed to the secondary metabolites such as alkaloids, flavonoids, tannins, terpenoids that are present in these plants11. In recent years, secondary plant metabolites (Phytochemicals), previously with unknown pharmacological activities have been intensively investigated as a source of medicinal plants 12. Thus, it is anticipated that phytochemicals with adequate bacterial efficacy will be used for the bacterial infections. Since, man has used various part of plants in the treatment and prevention of various ailments 13. The present study was aimed to evaluated the antibacterial potentially of methanol extract of Costus igneus against bacterial pathogens and phytochemical analysis of Costus igneus and identify the compounds using GCMS. Collection and Drying of plant materials: Mature leaves of Costus igenus were collected from Theni in Tamil Nadu. The leaves of Costus igenus were washed thoroughly three times with water and once with distilled water. The plant materials were air dried and powdered. The powdered samples were hermetically sealed in separate polythene bags until the time of extraction. Preparation of plant extract: 10 g of powdered leaves were extracted successively with 100 ml of methanol at 40-50°C in Soxhlet extractor until the extract was clear. The extracts were evaporated to dryness and the resulting pasty form extracts were stored in a refrigerator at 4°C for future use 14. Test microorganisms: Nine pathogenic bacteria, viz., Staphylococcus aureus, Bacillus cereus, Bacillus subtilis, Escherichia coli, Salmonella typhi, Shigella flexneri, Klebsiella pneumonia, Vibrio cholera and Pseudomonas aeruginosa were used during the present study and were obtained from MTCC, Chandigarh. The cultures were sub-cultured and maintained on Nutrient agar slants and stored at 4°C. Inoculum preparation: Bacterial inoculum was prepared by inoculating a loopful of test organisms in 5 ml of Nutrient broth and incubated at 37°C for 3-5 hours till a moderate turbidity was developed. The turbidity was matched with 0.5 McFarland standards. Determination of antibacterial activity (Agar well Diffusion Method or Cup Plate Method): Muller Hinton agar plates were inoculated with test organisms by spreading the bacterial inoculums on the surface of the media. Wells (8 mm in diameter) were punched in the agar. Methanol extracts with same concentrations 100 mg/ml. The plates were incubated at 37°C for 24 hours. The antibacterial activity was assessed by measuring the diameter of the zone of inhibition (in mm). Phytochemical analysis: Phytochemical tests were done to find the presence of the active chemical constituents such as alkaloid, glycosides, terpenoids and steroids, flavonoids, reducing sugars, triterpenes, phenolic compounds and tannins by the following procedure. Test for Alkaloids (Meyer’s Test): The extract costus igneus of was evaporated to dryness and the residue was heated on a boiling water bath with 2% Hydrochloric acid. After cooling, the mixture was filtered and treated with a few drops of Meyer’s reagent 14. The samples were then observed for the presence of turbidity or yellow precipitation 15. Test for Glycoside: To the solution of the extract in Glacial acetic acid, few drops of Ferric chloride and Concentrated Sulphuric acid are added, and observed for reddish brown colouration at the junction of two layers and the bluish green colour in the upper layer 14. Test for Terpenoid and Steroid: 4 mg of extract was treated with 0.5 ml of acetic anhydride and 0.5 ml of chloroform. Then concentrated solution of sulphuric acid was added slowly and red violet colour was observed for terpenoid and green bluish colour for steroids 14. Test for Flavonoid: 4 mg of extract solution was treated with 1.5 ml of 50% methanol solution. The solution was warmed and metal magnesium was added. To this solution, 5-6 drops of concentrated hydrochloric acid was added and red colour was observed for flavonoids and orange colour for flavonoid 14. Test for Reducing sugars: To 0.5 ml of extract solution, 1 ml of water and 5-8 drops of Fehling’s solution was added at hot and observed for brick red precipitate. Test for Triterpenes: 300 mg of extract was mixed with 5 ml of chloroform and warmed at 80°C for 30 minutes. Few drops of concentrated sulphuric acid was added and mixed well and observed for red colour formation. Test for Phenolic Compounds (Ferric chloride test): 300 mg of extract was diluted in 5 ml of distilled water and filtered. To the filtrate, 5% Ferric chloride was added and observed for dark green colour formation. Test for Tannins: To 0.5 ml of extract solution, 1 ml of water and 1-2 drops of ferric chloride solution wad added. Blue colour was observed for gallic tannins and green black for catecholic tannins 17. Test for Saponins: 2g of the powered sample was boiled in 20 ml of distilled water in a water bath. 10ml of the filterable was mixed with 5 ml of distilled water shaken vigorously for a stable persistent broth. The following was mixed with 3 drops of Olive oil and shaken vigorously and then observed for the formation of emulsion. GC-MS: The compounds were identified by using GC-MS. RESULTS AND DISCUSSION: The present study aimed at testing the antimicrobial activity of Costus igenus leaves against five human pathogens and the findings were summarized the leaves of Costus igenus collected from Theni district. The collected leaves were dried and powdered. Powdered leaves were extracted successively using polar solvent viz methanol. The extracts of Costus igenus were test against pathogenic bacteria like klebsiella pneumonia sp, Pseudomonas aeruginosa sp, Escherichia coli sp, Proteus mirablis sp and Bacillus by agar well diffusion method. 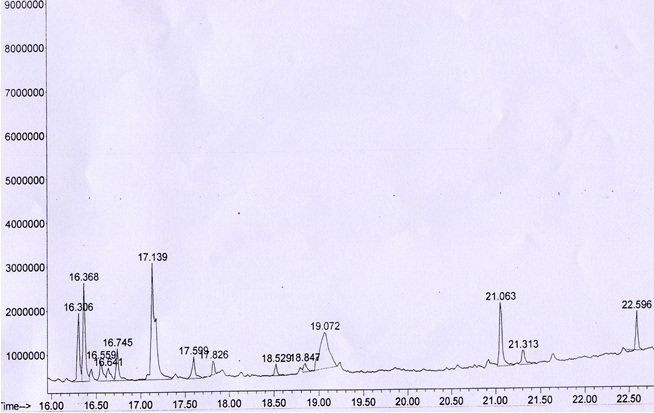 The methanol extract of Costus igneus (100mg/ml) showed maximum zone of inhibition (7mm) against Escherichia coli sp. Proteus mirablis sp showed less zone of inhibition (4mm) (Table 1). The methanol extract of Costus igneus (100mg/ml) showed maximum zone of inhibition (7mm) against Penicillium sp. Candida albicans sp showed less zone of inhibition (4mm) (Table 2). Antimicrobial activity of Costus igenus plant leaves is due to the presence of phytochemical compounds like tannins, glycoside, terpenoid, triterpenes, saponins (Table 3). DISCUSSION: Antimicrobial properties of medicinal plants are being increasingly reported from different parts of the world. The world health organisation estimates that plant extract or their active constitients are used as folk medicine in traditional therapies of 80% of the world population. There are about 45,000 plant species in India with capacity to produce a large number or organic chemicals concentrated hotspot in the region of Eastern Himalayas, of high structural diversity 18, 19. In the present work methanolic extract of Costus igneus showed higher activity to the majority of organism tested. The result of phytochemicals in the present investigation showed that the plant leaves contain components like tannins, saponins, alkaloids, flavonoids. This study also shows the presence of different phytochemicals with biological activity that can be valuable therapeutic index 20, 21. The potential for developing antimicrobials from higher plants appears rewarding as it will lead to the development of a phytomedicine to act against microbes. Plant based antimicrobials have enormous therapeutic potential as they can serve the purpose with lesser side effects that are often associated with synthetic antimicrobials. In the present study, we have found that the biologically active phytochemicals were present in the methanolic extracts of few medicinal plants. The antibacterial properties of these extracts may be due to the presence of above mentioned phytochemicals. CONCLUSION: The study of antibacterial activity of herbal plant extract of Costus igneus shown that methanol extract shows promising antibacterial activity against Bacillus cereus, staphylococcus, Escherichia coli, Salmonella typhi, streptococcus pyrogens and Pseudomonas aeruginosa Phytochemical analysis showed that antibacterial activity of Costus igenus was due to the presence of phytochemical compounds such like tannins, saponins, glycosides, triterpenes and tripenoid. The result also indicated that scientific studies carried out on medicinal plant having traditional claims of effectiveness might warrant fruitful results. These plants could serve as useful sources for new antimicrobial agents. Arumugam, M., Karthikeayan, S., and Ahmed John, S. Antibacterial activity of Indonessiella echioides. 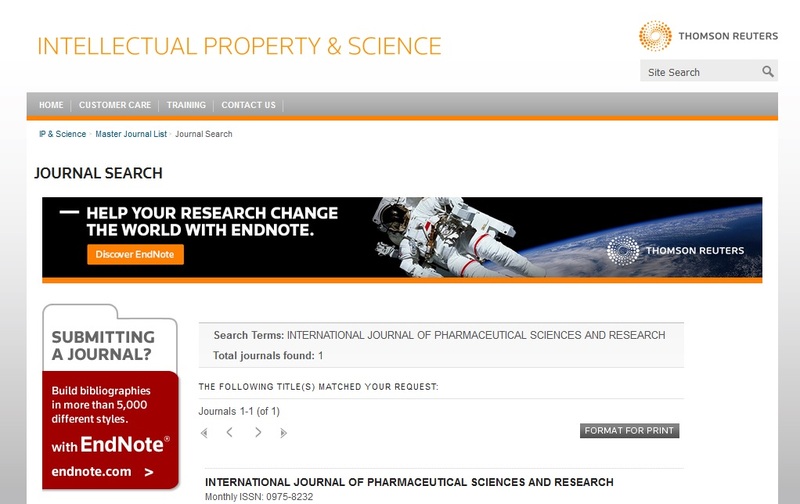 Research Journal of Biological Science 2009. 1(3): 157-161. Stary F and Hans S. The National guides to medical herbs and plants. Tiger Books. Int. Plc. UK 1998. Del Campo, J., Amiot M.J., and Nguyen C. Antimicrobial effect of Rosemary extract. J. Food Protect. 2000; 63: 1359-1368. Mann A, Banso A and Clifford L.C. An antifungal property of crude plant extracts from Anogeissus leiocarpus and Terminalia avicennioides. Tanzania J. Health Res. 2008; 10 (1) 34-38. Mothana R.A and Lindequist U. Antimicrobial activity of some medicinal plants of the island Soqotra. J. of Ethnopharmacology 2005;96: 177-181. Bajpai, M., Pande, A., Tewari S.K., and Prakash, D. Phenolic contents and antioxidant activity of some food and medicinal plants. International Journal of Food Sciences and Nutrition, 2005;56(4): 287-291 . Wojdylo A, Oszmianski J and Czemerys R. Antioxidant activity and phenolic compounds in 32 selected herbs. Food Chemistry, 2007; 105: 940-949. Babu P. D., and Subhasree R. S, Antimicrobial activities of Lawsonia inermis - a review. Acad J Plant Sci. 2009; 2(4): 231-232. Reddy P.S., Jamil. K and Madhusudhan P. Antibacterial activity of isolates from Piper longum and Taxus baccata. Pharma. Biol. 2001; 39, 236-238. Ateb D.A., and Erdourul O.T, Antimicrobial activities of various medicinal and commercial plant extracts. Turk. J. Biol. 2003 27, 157-162. Sher A; Antimicrobial activity of natural products from medicinal plants. Gomal J Med Sci. 2009; 7(1):72-78. Krishnaraju A.V., Rao T.V.N., Sundararaju D. Vanishree.M , Hsin Sheng Tsay and Subburaju. G.V. 2005. Assessment of bioactivity of Indian medicinal plants using Brine shrimp (Artemia salina) lethality assay. Int J Appl Sci Eng 2: 125-134. Tanaka H., Sato M., Fujiwara S. Antibacterial activity of isoflavonoids isolated from Erythrina variegata against methicillin resistant Staphylococcus aureus. Lett Appl Microbiol 2002.; 35: 494- 498. Chessbrough, M. Medical laboratory manual for Tropical countries, Linacre House, Jordan Hill, Oxford. 2000. Siddiqui, A.A., and Ali, M. Practical pharmaceutical chemistry. First edition, 1997; CBS Publishers and distributors, New Delhi: 126-131. 7. Evans, W.C. Trease and Evan’s Pharmacognosy. 5th edition, Haarcourt Brace and Company: 2002; 336. Iyengar, M.A. Study of drugs. 8th edition, Manipal Power Press 1995, Manipal, India. Yiming L.I., Seans L.E., Zhang. The antimicrobial potential of 14 natural herbal plants. J. Am. Dent. Assoc. 2004; 135: 1133-1141. Mahato R.B. Chaudhary, R.P. Ethano medicinal study and antibacterial activities of selected plants of palpa district, Nepal. Scientific World 2005; 3(3): 26-31. Jigna Parekh, Sumitra V. Chanda.. In vitro Antimicrobial Activity and Phytochemical Analysis of Some Indian Medicinal Plants. Turk. J. Biol., 2007; 31: 53-58. P.K. Senthilkumar, D. Reetha. Screening of Antimicrobial Properties of Certain Indian Medicinal Plants. J. Phytol., 2009; 1: 193-198. Vasantharaj S, Sathiyavimal S and Hemashenpagam N: Antimicrobial potential and screening of Antimicrobial compounds of Costus igneus using GC-MS. Int J Pharm Sci Res 2013; 4(5); 1815-1819.